Vetiver grass is native to south India being known also as Khus in other parts of India. 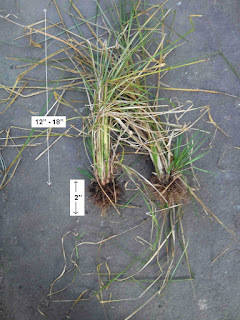 Besides many other uses of the grass, STH became interested in it because of its use in slope protection and its almost magical ability to hold the soil together. 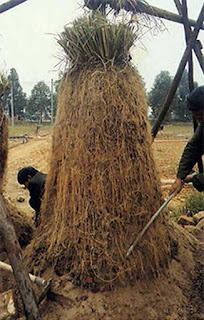 In fact, the photo below demonstrates the legendary prowess of the plant's roots. After researching vetiver grass's viability in this environment and also whether it was an invasive grass which would damage local varieties, we 'imported' 10,000 saplings from Kerala in May2011 and distributed it to NGOs in Darjeeling district while planting a large number in and around landslide prone areas in Kalimpong. 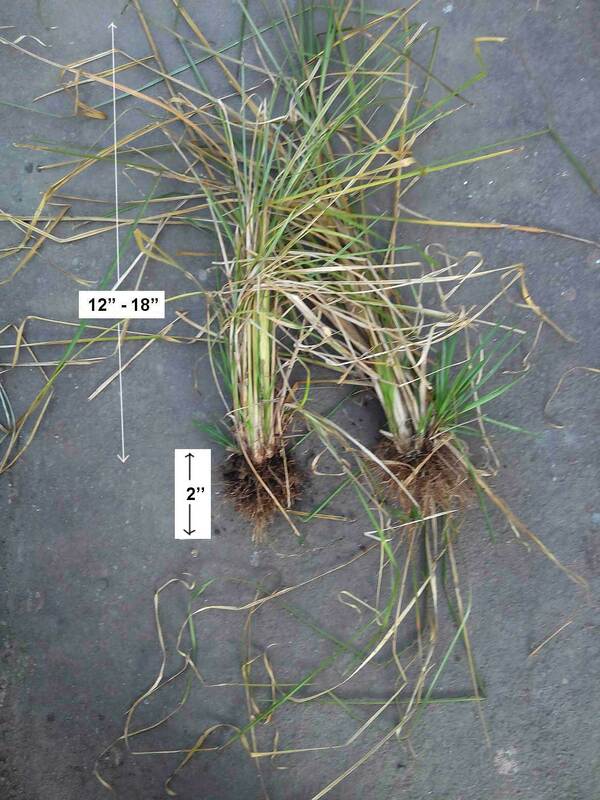 Four years after planting the grass, our experience with Vetiver has been disappointing (see photo below). Whereas the roots should have grown to lengths of 7'- 10', our variety has roots which barely measure 2" and the stalk too appears stunted. I have read that shady areas slows the growth of grass. I request anyone with experience in growing vetiver grass for slope protection and soil erosion control to offer comments. Thank you for sharing this. Regarding Vetiver grass, I have to share with you all that I have got one variety from Assam, which has grown so much in my NIDM campus since March 2014! Really it works and we have to check which variety you have got from Kerala. There are several types and some international patents. I am sending some photographs by email.